Alvaro Morata gave Chelsea a 1-0 win over a dogged MOL Vidi at Stamford Bridge to keep up their perfect Europa League start. Maurizio Sarri's team did not have things all their own way, and both sides had good chances to take the lead before Morata's volley 20 minutes from time. Emerson Palmieri cleared off the line from Roland Juhasz's header and Morata blazed wide when clean through, but the Hungarian champions refused to be overawed in west London, and could have left with a point when Kepa saved well from Istvan Kovacs late on. But Chelsea's second-half goal leaves them top of Group L with six points from two games, and already looking good to progress. Emerson's block averted an embarrassing opening for the Blues as he cleared captain Juhasz's header from a corner off the line. Chelsea responded with an even better chance, when Pedro slipped Morata clean through but with only Tomas Tujvel to beat he fired a couple of yards wide of the near post. Vidi were never disheartened by Chelsea's long spells of possession and nearly nicked a goal on the break when Loic Nego snuck behind Andreas Christensen as Kepa prepared to gather a ball forward, but his sliding challenge only diverted the ball beyond the far corner. 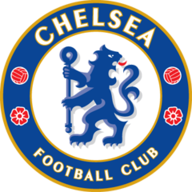 The visitors went in at the break feeling hard done-by when Boban Nikolov looked to have been clipped by Gary Cahill on the edge of the Chelsea box when clean through, but referee Miroslav Zelinka was unmoved. Even the introduction of Eden Hazard 10 minutes after half-time failed to spark Chelsea into life, but their best move of the game 25 minutes into the second period did. Chelsea made eight changes from the side which drew with Liverpool. Only Kepa, Mateo Kovacic and Willian kept their places. Cesc Fabregas spotted a run from Willian into the box and picked him out with a clipped lob, and his glancing header was volleyed into the top corner by Morata, who was visibly emotional after the goal. That gave the hosts some extra impetus which they nearly used to net a second, but substitute Ross Barkley headed against the bar from a Hazard free-kick. Having survived that let off, Vidi pressed forward for an equaliser and were nearly in luck when Istvan Kovacs ghosted behind Fabregas before forcing Kepa into a full-length save - which proved their last chance in their search for a famous result in the capital. Chelsea are now unbeaten in 10 games in all competitions this season (W8 D2), since losing their opening fixture against Manchester City in the Community Shield. 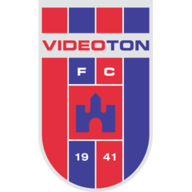 MOL Vidi haven't won any of their last seven away UEFA Cup/Europa League matches, drawing one and losing six since winning 1-0 against Real Madrid in the second leg of the 1984-85 UEFA Cup final. Chelsea mustered 27 shots in the game, last attempting more in a game in all competitions in May 2017 against Sunderland in the Premier League (28). Chelsea have never lost a single home European match (excluding qualifiers) in a competition other than the Champions League (P36 W29 D7 L0). Chelsea striker Alvaro Morata finally scored his first Europa League goal of the season with his 14th attempt and only his second on target. Willian has been directly involved in five goals in his last six games for Chelsea in European competitions, scoring four and assisting one. Industrious from the off and full of work, strength and ideas, Loftus-Cheek did not look like a player starting his first club game of the season in October. He and Pedro were Chelsea's most creative players until both were withdrawn after half-time, moving the ball into dangerous areas, and he had half a shout for a penalty before the break too. Chelsea travel to Southampton live on Sky Sports Premier League this Sunday from 1pm. Pick your dream Six-a-Side team from that game for a chance to win £1,000 with Sky Sports.